When preparing to traveling around the world it is important that you arrive knowing the customs and traditions of the culture. One of the biggest things to be aware of is tipping. 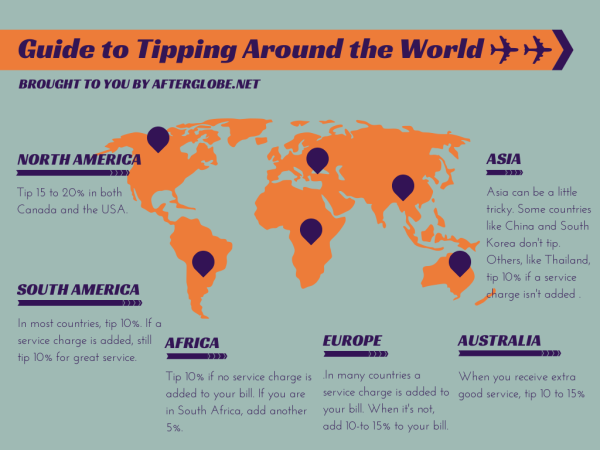 Here’s a few general rules of thumb for tipping around the world.